This highly popular cycle route runs for 170 miles between Morecambe and Bridlington. It passes through the historic cities of York and Lancaster, and lesser known gems such as Settle, Pateley Bridge and Ripon. 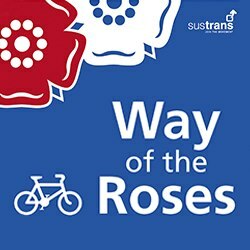 On route, you'll be cycling across a beautiful, changing landscape including the Lune Valley, Yorkshire Dales, Nidderdale and the Yorkshire Wolds; using traffic-free paths, on-road cycle lanes, country lanes and quieter roads. It's a challenging but rewarding cycle touring holiday or longer vacation, for all.